Sure, these days nearly all digital cameras can shoot video, but only a small handful give you the power to manually select aperture and shutter speed while doing so. 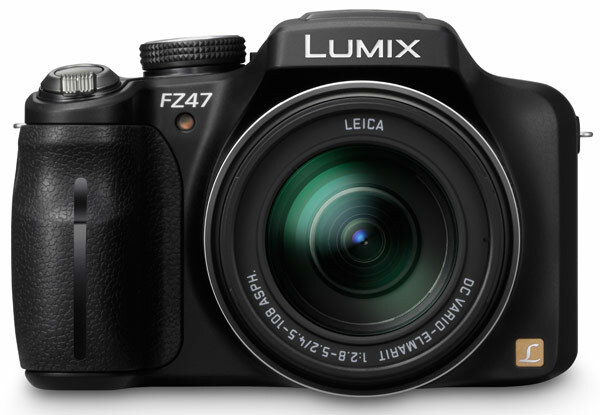 The Lumix FZ47 is Panasonic's latest high-end point-and-shoot to sport this functionality, providing full control over both video and still photo capture with its Creative Control mode. The 12.1-megapixel superzoom can shoot 1080i HD at 30 fps, though it's notably lacking in the 1080p department. There's also a 3-inch LCD, 24x Leica zoom lens with a 25mm wide-angle focal length, and an option to shoot 3.5-megapixel stills while recording video. For photographers wiling to settle for a good deal less power, Panasonic also just announced its entry-level Lumix LS5, which includes a 14.1-megapixel sensor, optical image stabilization, and 720p video, all powered by a pair of AA batteries. The $400 FZ47 will ship next month, while the LS5 hits stores in November, with pricing yet to be announced. Jump past the break for the complete rundown from Panasonic.